Opening an ice cream shop is an attainable dream and one that can be quite financially rewarding. Here are some areas that need to be considered. Your product – If you’re planning on opening an ice cream shop, you need to be passionate about ice cream. You will have to know and pay close attention to the taste, consistency, and delivery of your flavors. 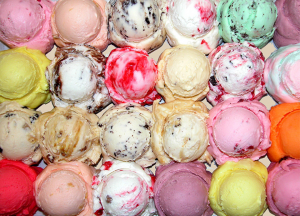 Since the ice cream market is competitive, customers will look for a high-quality product that is distinctive. According to Gelato Products, knowing the ice cream making process inside out is your best bet to creating a successful ice cream shop. Seasonality – Most ice cream shops will make money for 5 – 6 months of the year and then have fewer sales for the rest of the year. Therefore, to make the most of the summer months, you will have to learn to offer quick service with a variety of flavors that cater to your customer’s requirements. Paperwork and permits – To open a food business, you will need a business license and pass a health and safety inspection from your local health and safety authority. Certain cities will also have specific permits and regulations that need approval. To open an ice cream shop, you will also need a criminal background check in most states. Therefore, opening your ice cream shop is not only about picking your flavors and choosing the color of your tasting spoons. To start your business, it is best to create a detailed business plan, that will give your business direction and improve your chances of success. Next article How to choose the right tenant for your rental?